Do you ever ponder those chance meetings in your life? Surely we all play this game. I suspect most people just accept this idea & get bored of it by the time they are 8 or 9, but I am still fascinated by it. As I looked at the picture of this bird, I found myself struck with a little sadness, thinking that the chances are it is now dead. Following this little avian life could have made a lovely short film. After all, he lived in Venice. He bathed in Piazza San Marco, and possibly roosted in the eaves of a building centuries old. He watched countless tourists walk by. He’s probably been snapped by a fair few of them too. He could be the black dot that looks too much like a dust mark in someone’s otherwise flawless photo. But here he is centre stage. Is that the joy and the sadness of a photo? Here I have this point of contact. He might be dead, and at best he is still 10,000 miles away, yet at this desk in Australia’s central coast, his image is still evoking emotion. It makes me happy to look at him, and who knows, maybe he’ll make 50 other people on flickr happy too. If only God had a “where are they now” button installed in the air, a foot above every character on earth. I could press the button & find out just what happened. Is the bird still alive? Did he find love? Was he actually a she? What mystery do you want to know the answer to? wow this is a great photo!! I love this post dude! 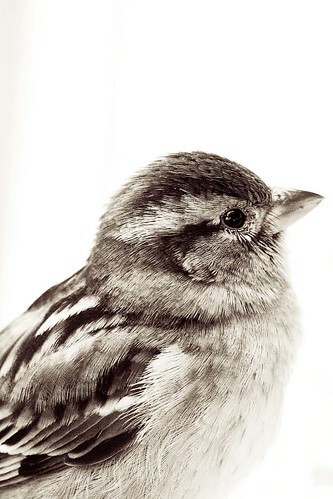 Tim, this is a really lovely photo – you know I’m a sucker for birds…. I just love it. Very cool photo and I liked your reflection…I think the bird ended up as a cats dinner…Your mum posted on your blog…one more piece of evidence in the showtunes file!